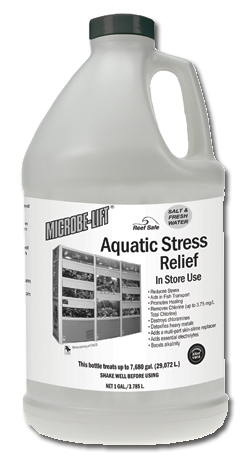 MICROBE-LIFT/Aquatic Stress Relief was specially formulated to calm fish and reduce stress caused by water changes and during transport. 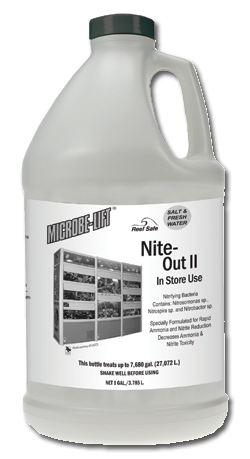 MICROBE-LIFT/Aquatic Stress Relief will add protective slime coat conditioners which will form multiple layers of protection on your fishes skin. These slime coat conditioners will help with bruises, missing scales, and damaged skin. 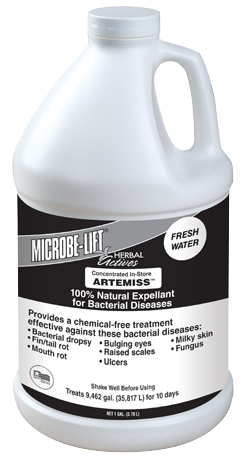 MICROBE-LIFT/Aquatic Stress Relief will remove chlorine and breaks down chloramines while neutralizing heavy metals, such as copper, zinc, and iron which may be fatal to fish, as well as, invertebrates. This product is intended for use with all ornamental pond and aquarium fishes. Not for use with fishes or aquatic invertebrates intended for human consumption. This is not a medication or economic poison and is not intended for use as such. For conditioning water for aquariums or ponds where ammonia and chloramines are not a consideration. 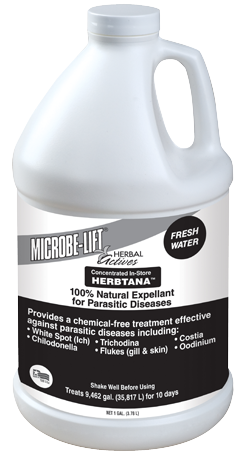 Add 1 teaspoonful (5 mL) of MICROBE-LIFT/Aquatic Stress Relief per 10 gallons (38 L) of water. For larger applications use the following measurements: 1 fl.oz. (30 mL)/60 gal. (227 L).